History has proven that casual music listeners value the art form as short-term entertainment and nothing more. The general public does not seek out political opinion or societal viewpoints when searching for the latest chart-topping smash. Of course, there are exceptions to the rule. Kendrick Lamar, Joey Bada$$, Logic, and Macklemore have all received various forms of commercial praise despite pronounced messages in their music. J. Cole is apart of this group, and perhaps the only one to accumulate notoriety through his thoughts, not his music. The Fayetteville rapper has never shied away from exploring the sour factions of society, especially those directly connected to his true love; Hip-Hop. On KOD, a title that has three acronyms - Kids On Drugs, King Overdosed, Kill Our Demons - J. Cole transcends the stereotypes many factually planted on him with 2016's 4 Your Eyez Only. Despite harshly criticizing the drug-obsessed culture in hopes of achieving a more productive future, KOD suffers from immense musical placidity that halts any worthwhile impact J. Cole intends to make. He's as astute as he is preachy, as talented as he is frustrating, as sincere as he is boring. Removed from his artistic setbacks, J. Cole's judgement, wisdom, and mental wherewithal have always been commendable. To release a blatant anti-drug album during Hip-Hop's current era, where graceless Trap addicts like Lil Pump, Xxxtentacion, 6ix9ine, and Lil Xan are heralded by teenagers for their indecent imbecility, is one thing. To do it on 4/20, the pseudo-holiday for users, is another entirely. The risk-taking, veering towards career suicide, is admirable. And truth be told, J. Cole's denouncements throughout KOD should be heard. Tracks like 'The Cut Off' and 'FRIENDS' show the inevitable pitfall of rampant drug consumption, wherein J. Cole's alter ego kiLL Edward attempts to cope with life's sobering truths by forgetting all there is around him. KOD's finale '1985' even targets those aforementioned rappers, exhibiting the evidential pattern for Hip-Hop artists who glorify their 15 minutes of fame only to wallow in abandonment once their hourglass is up. He does this not through a back-handed diss as many have implicated, but rather as a stern and sophisticated life lesson byway of cautionary tale. Elsewhere, J. Cole satirizes greed and misguided impulses ('ATM,' 'Motiv8'), analyzes the depth and detriment of love ('Photograph,' 'Kevin's Heart'), and comments on the consequences of inner-city violence ('Window Pain'). That's all to say, in the Conscious Hip-Hop channel, his pontifications aren't just unoriginal; they're outdated. Outdated in the sense that, three years ago, Kendrick Lamar's To Pimp A Butterfly encompassed much of the same ideology with grander brush strokes, more poignant storytelling, and vastly more engaging soundscapes. In years past, especially before good kid. m.A.A.d. city, Lamar and Cole were seen as prospective equals. Now the latter trails him in every outlet, even deciding to compose beats more in-tune with the current Pop market after the success of DAMN. That's not to say J. Cole wasn't capable, or willing, before. Born Sinner strove for accessible mainstream success after all, while 2014 Forest Hills Drive did too in some capacity. 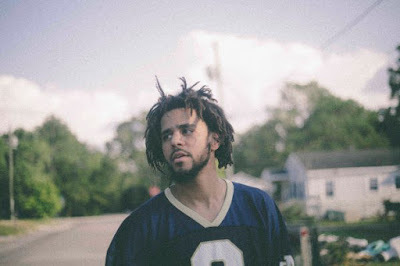 However, the coolness J. Cole expresses, both musically and verbally, on tracks like 'KOD' and 'ATM' find the elder rapper coinciding more with the younger crowd; likely in an effort to gain trust before coyly subverting expectations. If that's the case with KOD's hits, it's certainly not with its deep cuts. 'BRACKETS' and 'Window Pain,' despite both supporting aspiring messages, the former even spending an entire verse scrutinizing taxes, are a chore to wade through. These efforts, along with 'Photograph' and 'Kevin's Heart,' find J. Cole rangebound to his uneventful 4 Your Eyez Only days. On one end, the few Trap-flavored tracks do provide some much-needed energy, but simultaneously feel derivative of J.Cole's endgame and his previous musical stylings. Both 'ATM' and 'Motiv8' tip-toe lightly over minimal percussion, the latter even incorporating a slick Junior M.A.F.I.A. sample, but the repetitive choruses, a distinct weakness of KOD (with the woefully empty 'BRACKETS' and 'KOD' in mind), prevents either from excelling at their goals. Truthfully, the one song that does is the sharp and sly '1985,' both for J. Cole's competent lyrics and his smooth flow that glosses over clear A Tribe Called Quest inspiration. It's throwback Jazz Rap done tastefully, even if its greatest accomplishment is forcing me to re-listen to We Got It From Here. There's comfort to be had in 'The Cut Off's' 'Swimming Pools'-esque pitch-shifted hook and maybe 'ATM's' tonal divide in the production, but not much else. KOD takes another step backwards, as J. Cole further loses his savviness on the boards and his intrigue on the mic. This, regardless of the positive morals amiably sent forth.